Therapeutic-grade oils are specially distilled from plants cultivated organically or grown wild in a clean environment. Pharmaceuticals have their place, and many who need thyroid support need to be on medications, but there are also natural options to consider. 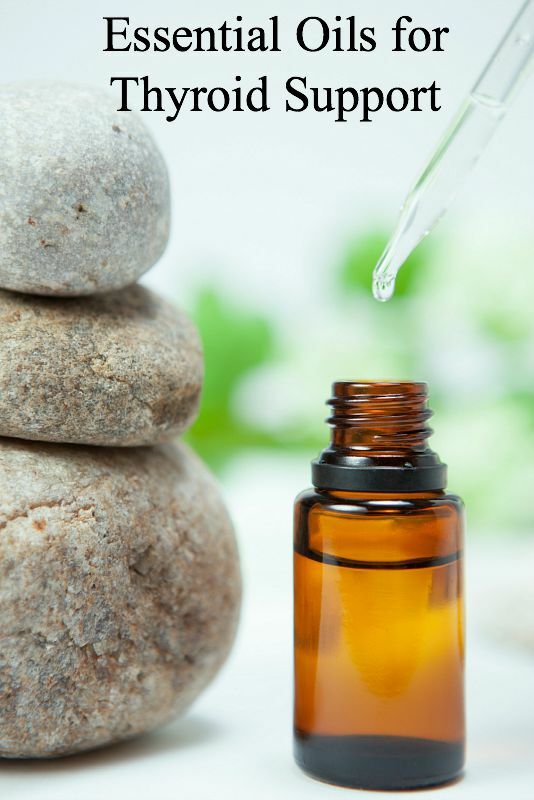 Essential oils help keep the body in homeostasis and work towards restoring and maintaining balance. I think we can agree that all of us who need thyroid support could use a bit more balance in our lives! Frankincense Oil – frankincense is the mother of all oils (king of oils) and it’s wonderful for healthy cell support. Frankincense is high in Monoterpenes which help reprogram miswritten information in cellular memory. 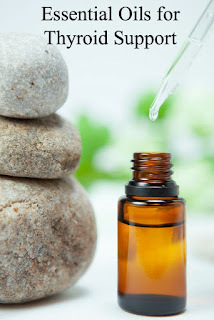 Myrrh Oil – this oil has been used for thousands of years and can help reduce stress, support an underactive thyroid, and help reduce inflammation. Myrrh is rich in Sesquiterpenes (around 60%) which can help “erase or deprogram miswritten codes in cellular memory”. Lemongrass Oil – this is a great oil to use to support the thyroid – again, helping the body achieve balance. Basil – basil is another oil that helps reduce inflammation and also helps support the adrenal glands. Thyroid issues and adrenal issues usually go hand-in-hand, so it’s a good idea to use this oil on a regular basis to support the adrenal glands. Peppermint – peppermint can help you feel more alert, and support the body when it feels fatigued. It also helps support the thyroid. Marjoram – marjoram supports the spleen. The spleen is an important organ in the immune system, producing the white blood cells that fight infection and synthesize antibodies. This oil could be a good oil to help support healthy antibody levels. Rub a drop of myrrh oil over thyroid area each day. The smell is a bit strong, but it wears off quickly. A drop or two basil oil rubbed on the adrenals each morning is a great way to support the system! The adrenal glands are located on either side of your back, just below each rib cage. A drop or two of marjoram can be rubbed over the spleen for antibody support. Top off the roller ball with fractionated coconut oil (this kind of coconut oil soaks into the skin quickly and stays liquid at colder temperatures). Use: Apply topically over thyroid area at the base of the neck and reflexology points (big toe), massage in 3x daily. Note: These essential oils protocols are not meant to replace your thyroid medication. The hope is that essential oils will help in balancing your hormones and helping you to live well despite your condition. If you’re currently on medication for hypothyroid, don’t go off it without consulting with your doctor first.